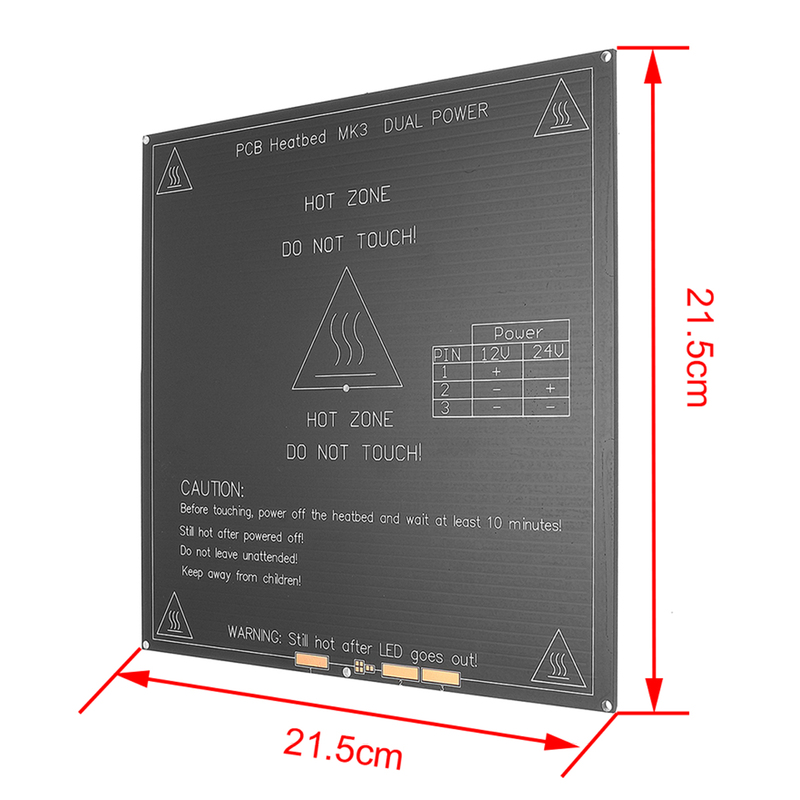 ● MK3 can choose between 12V and 24V working voltages, which is more practical. - 12V connection: one line is connected to 1, and the other line is connected to 2 and 3. 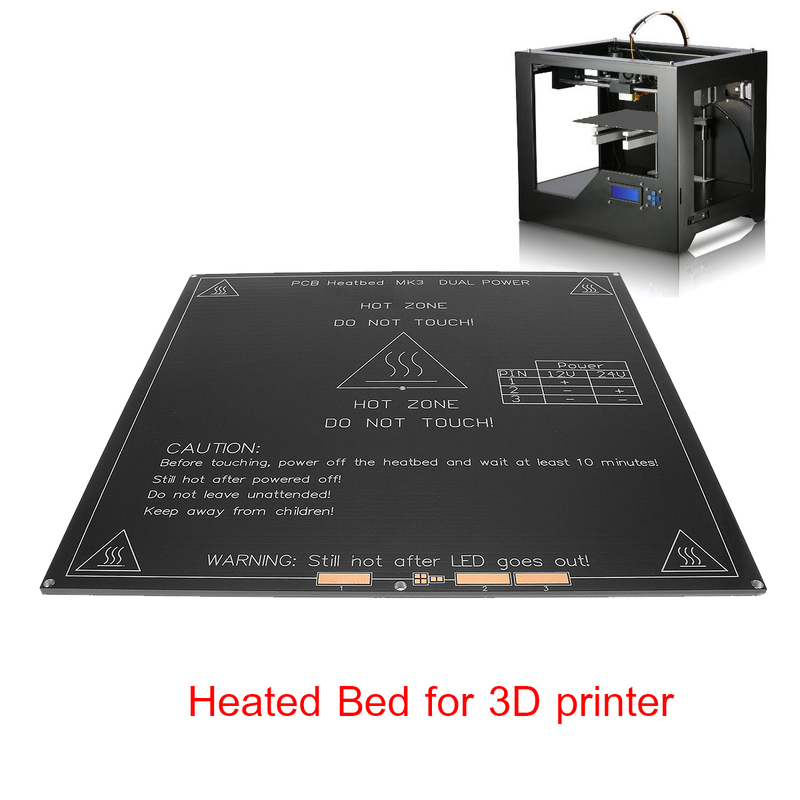 **After the Heated Bed stops power supply, the residual heat of the Heated Bed still exists. **Please pay attention to safety and be careful about scalding your hands.